The annual Truxx Factor truck racing and truck show event is to return to Rockingham speedway this year. The event is scheduled for the weekend of September 22/23 at the famous oval circuit near Corby. 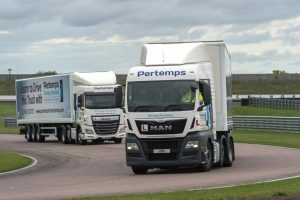 Partnered by Pertemps Driver Training, which will be offering LGV manoeuvring drives over its own course, Truxx Factor combines a show element with a series of driving challenges alongside an intensive timetable on the race track. Attractions includes a truck show which will include working, vintage and retro trucks, custom trucks, light commercials and pick-ups and American trucks. There will also be Hot Rods and Street Rods, F1 stock cars and the Red Dragon Monster Truck. There are also truck racing simulators to test your race truck driving around the Rockingham International Circuit. Indoor and outdoor exhibition areas allow all types of industry products and vehicles to be displayed. Strongmen join visiting members of the Corby carnival to provide plenty of entertainment for the kids. Saturday evening sees the rolling light show parades on circuit under fireworks, followed by live music, with a bar and hot food. Entry is £39 for modern trucks, which gives a pair of weekend tickets plus a small camping area adjacent your vehicle. Fleets already pledged for this year are Wrefords Transport, BSI Transport, EM Rogers, Maxim Logistics, Truckwright, Motward, Sherwoods to name a few. 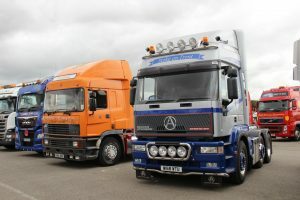 For further info, and to book a truck for show, go to www.truxxfactor.co.uk, contact info@truxxfactor.co.uk or call 07795 413363. Tickets are on sale via the website and are £16 per adult per day or £28 for the weekend with camping an extra £8, which must be booked in advance. Children under 16 are free.